Spot this sign and you’re almost there. Harajuku Taproom is, for me, a safe haven in the throngs of the Harajuku masses that envelop me every time I go there. The screaming schoolgirls, the crazy cosplayers, the tiny teenagers. They all scare me. Yet knowing there is a craft beer bar near Harajuku station makes the experience so much easier to cope with. 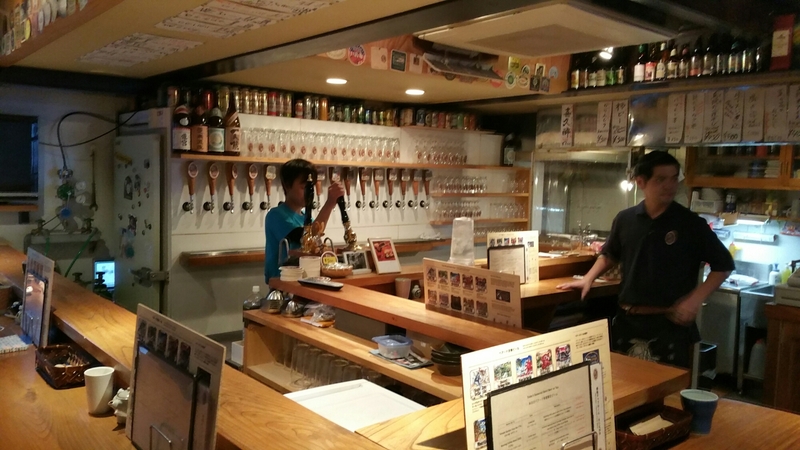 Like the other taprooms in Nakameguro and in Bashamichi, the Harajuku Taproom also has a theme with this one being yakitori and craft beer. Head explosion. Heaven. Plenty of seats at the bar at 5pm. At 5:30, it was full. Located behind the main shopping street of Takeshita Dori, Harajuku Taproom has been dishing out this combination of yakitori and Baird Beer successfully it seems as we had to sit the counter that filled up within thirty minutes of us being there. Always a good sign though it did add to the time we had to wait for our food. Moreover, all the menus are in English and the staff even spoke English to us when we ordered the food and drink in Japanese. 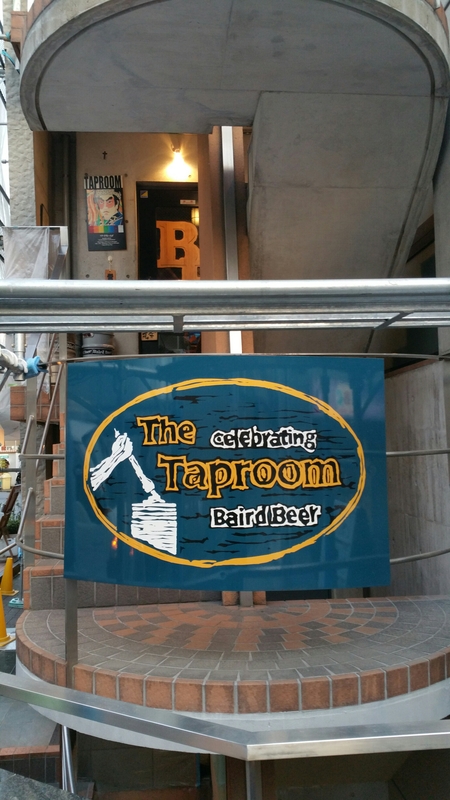 The beers at Harajuku Taproom are the same as other taprooms due to it being Baird Beer so we won’t delve into them too much though the prices are also the same too. Reassuring that being in Tokyo, Baird Beer haven’t raised their prices unlike UK pubs do cough EVERY LONDON PUB CHAIN cough. We settled for some of our usuals, the Red Rose Amber Ale, and also the Suruga Bay Imperial IPA, along with a nice little tasting session at the end of the Yuzu Temple Ale, Morning Coffee Stout, and the Ganko Oyaji Barley Wine. The taster set is really good value for money as the special beers are usually more expensive than the others so this way you get to try them all and then decide. Or in our case, just end up drunk to the Ganko Oyaji. The menu of foods, plenty for everyone. Yakitori and craft beer. Heaven. Chorizo and momo (chicken thigh). Heaven again. Some veg for the diet. The yakitori, you’ll be glad to hear, is freshly cooked on one of those yakitori grills that chefs use and the selection was much better than we expected. There was plenty of choice on snacks as well, with some stout edamame and also some beer battered chicken though the yakitori was perfect with the salted option and not the sweet, tare style. Well done, Baird. Well done. Coming into Harajuku Taproom with the expectations of yakitori and craft beer was never going to be easy but the place does them justice and does them well. If you ever find yourself stuck in Harajuku shopping, let your shopping partner disappear off into the shops and you disappear off into Harajuku Taproom. The best way to get to Harajuku Taproom is by taking the JR Yamanote line to JR Harajuku station. It’s about a five minute walk from the Takeshita Exit.